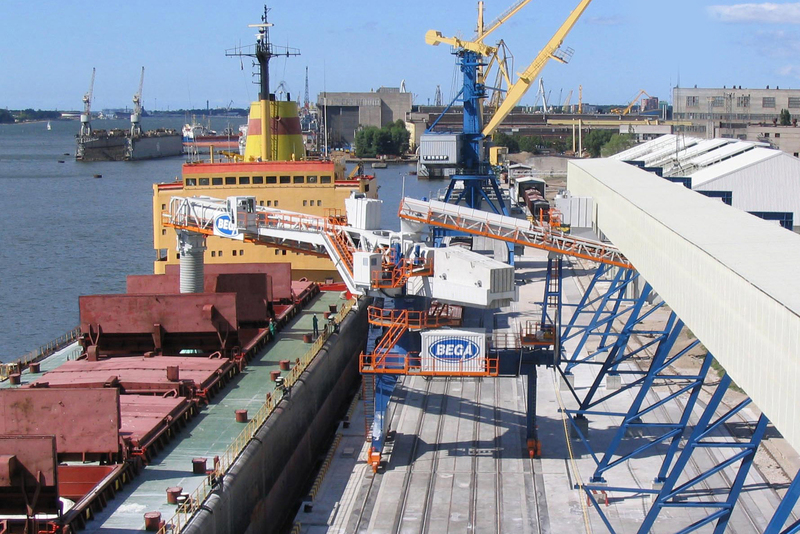 Cargotec has signed a contract with the Lithuanian stevedoring company Bega to supply electro-mechanical cargo handling equipment for a grain and animal feedstuffs export/import terminal at the port of Klaipéda in Lithuania. Fertiliser and other bulk cargo may also be handled in the future. "The Cargotec belt conveyor system employed in this project features low power consumption and handles material 'gently', resulting in the minimum of material breakage," said Arne Nyström, sales manager for bulk terminals at Cargotec. "It is also easy to keep clean, so there is no admixture when changing between different cargoes." The contract calls for a ship loader, belt conveyors, slide gates and diverter gates, a variety of scales, rail wagon/truck loading systems, dust filters, electrical switchgear, power and control cables with installation material and a process control system including human/machine interface and supervisory control and data acquisition system. Cargotec is also responsible for all the associated detailed design work. The system will have two intake lines rated at 500 tonnes grain/hour for receiving grain from rail wagons and trucks and conveying it into two flat storage buildings with total storage capacity of 160 000 m³. Another intake line with a capacity of 1,000 tonnes grain/hour will convey grain and animal feedstuffs from ships into the two storage buildings. Ships will be unloaded using an existing grab crane. "We won this contract against stiff international competition and a factor in this success was the quality of the assistance that Cargotec provided during the initial planning phase," said Arne Nyström. "Furthermore, Bega has been very pleased with the performance and reliability of a ship loader for handling fertiliser previously supplied by Cargotec, along with the support and services provided over the years." Following the delivery of equipment in April/May next year, there will be a construction and installation phase of about four months with the plant scheduled to be ready for operation by September 2011.